One of the things that can be said with certainty in this new generation of games is the death of old school RPGS. Nearly all of the big names in the RPG family have stopped making turn based role playing games. But there are still some small Japanese production houses that are trying to keep the genre alive. Among them the most noteworthy is XSEED. I have been following XSEED since they started out years ago by publishing small games on the psp. Among the many games published by them one of my all time favorites is Brave story : New traveller. On the surface Brave Story is your typical everyday RPG. It is a tale of an ordinary peace loving boy who lives happily in a small village amongst friends. One day, quite suddenly, his friend falls ill and is admitted to a hospital. Unfortunately the hospital has no cure for the malady. But the boy, determined to cure his friend, decides to travel through unknown land of vision and fight against unforeseen dangers in order to find the cure. In short the plot is nothing which you have not heard before. That said Brave Story hardly boring. 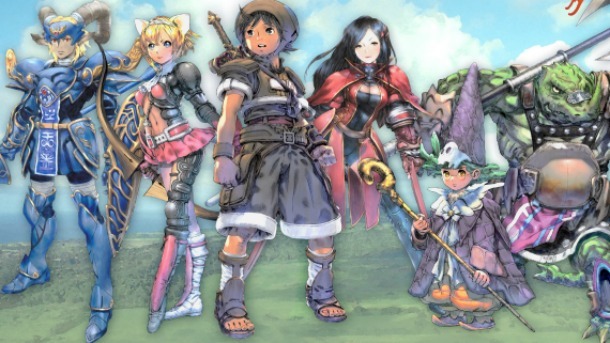 On the contrary it is a very satisfying RPG with plenty of depth to please any RPG lover. But let is not get ahead of ourselves and take a look at what Brave Story has to offer. Brave story is a turn based role playing game. You start off by making a few choices regarding the playable character: Do you want a powerful attacker with a slow movement. Or do you prefer the one who is more swift but deals weaker damage. Or maybe casting magic spells from a distance suits you better. Once you have made your choice you are thrown into the main game. Vision is a vast and geographically varied land. There are many towns and dungeons that you will traverse with your team. Your party can have a maximum of 3 characters during combat. Battles are all random and are not limited to just dungeons. You can encounter foes while travelling on the world map as well. The movement on the main map is familiar. Pressing X near the town or dungeon icon transports you into it where you can carry on with your business. You know killing enemies,looting, levelling up, buying new equipment and talking with NPCs. As the game progresses and you level up, your rank increases too which allows you to travel through the areas that were restricted before. Moreover it opens up a bounty system where you can collect money it for slaying monsters. Special gemstones are unlocked after defeating certain bosses which gives the main character special abilities. These abilities can be used in the battle at the expense of Bravara points (equivalent to MP in most games). 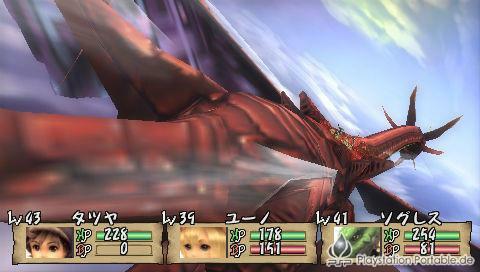 However unlike most other games the BP is replenished during the battle itself without need for a restorative. you complete freedom to customize your team. But it's quite important that you choose strategically. The characters with whom you battle form a bond with you. This allows you to use amazingly powerful attacks called the unity skills. If the bond formed is strong the party member may even take blows for you if your health is down and you return the favour as well. So on one hand the game provides incentive to choose from many characters while on other it rewards sticking with a few. The new members join your team as you progress through the game. It might be a difficult choice to swap out the existing members with the newer ones due to a level mismatch . You have already put in a lot of effort beefing up your team and you wouldn’t want to throw away all that hard work. But in Brave Story even the inactive members of the party keep gaining levels though at a slower rate. I loved this feature as it allowed me to experiment with various team members without worrying that those out of my party will be left behind. As I said before vision is a vast place. And it would be impractical to commute on foot. To facilitate the long distance travels the developers were kind enough to supply a very comfortable bullock cart. Though quite sturdy this mode of transportation was surpassed by the ability to summon a dragon later on in the game. Yes you get a chance to ride the dragon. Now how cool is that! Any good RPG has tonnes of items. Brave story does not disappoint in this respect. Each character can equip up-to 6 items. Of these 4 are used in battle and 2 are accessories that grant special abilities. You can even create your own items with the help of an accessory book. Needless to say item creation can be quite addictive and a lot more fun than just buying items from the store. There are also plenty of side missions, about 100 in all, that can provide hours of gameplay even after beating the main game. On the downside though these missions are not available from the start. They must be unlocked by talking to the NPC'S which can be quite boring and not all side missions are all that interesting anyway. There is lot of content here to be sure but it's not all good. The visuals of the game are pretty good. The characters are quite detailed. The environments are pleasing to the eye. The final stage of the game is noteworthy. 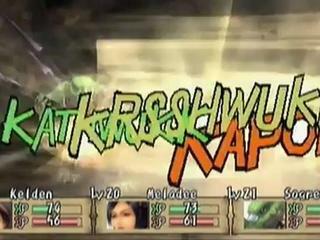 Every attack in combat is followed by a comic book styled Kaboom, Kabash!! which may sound weird but fits with the theme of the game perfectly. There is not much to say about the music of the game except that it is not bad. Brave story is not that original in it's ideas but it's a very well executed game. The old school feeling is what makes it so charming today. I suppose if the game came out in the PS1 era it would probably have been overlooked. 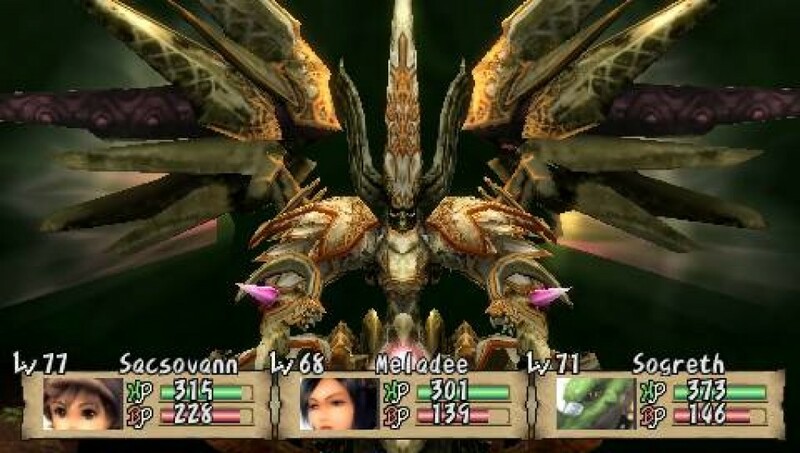 But right now if you enjoy RPGs you'll love Brave story.